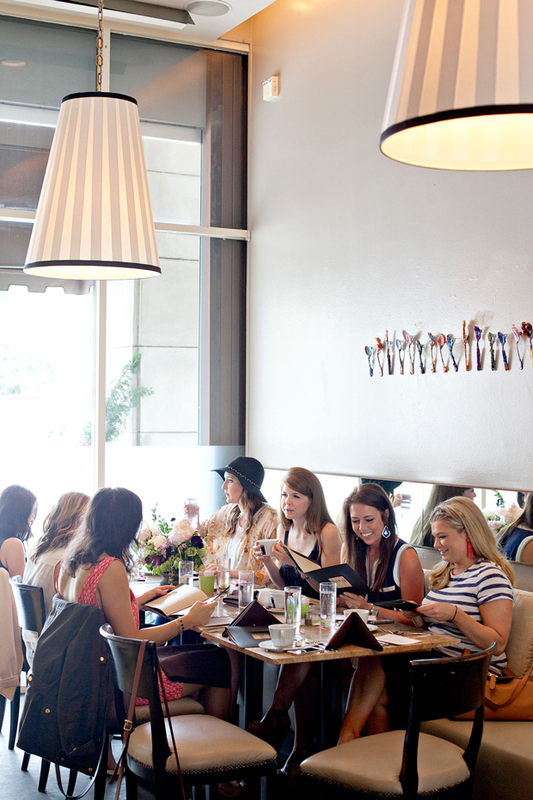 Dallas Blogger Brunch is a monthly event that I have started to look forward to for a couple reasons: event planning is enjoyable for me, so it's fun to have a small project to work on each month, but now brunch means that I am going to be seeing friends! I love that bloggers who I have "met" online are turning into real friends in Dallas. 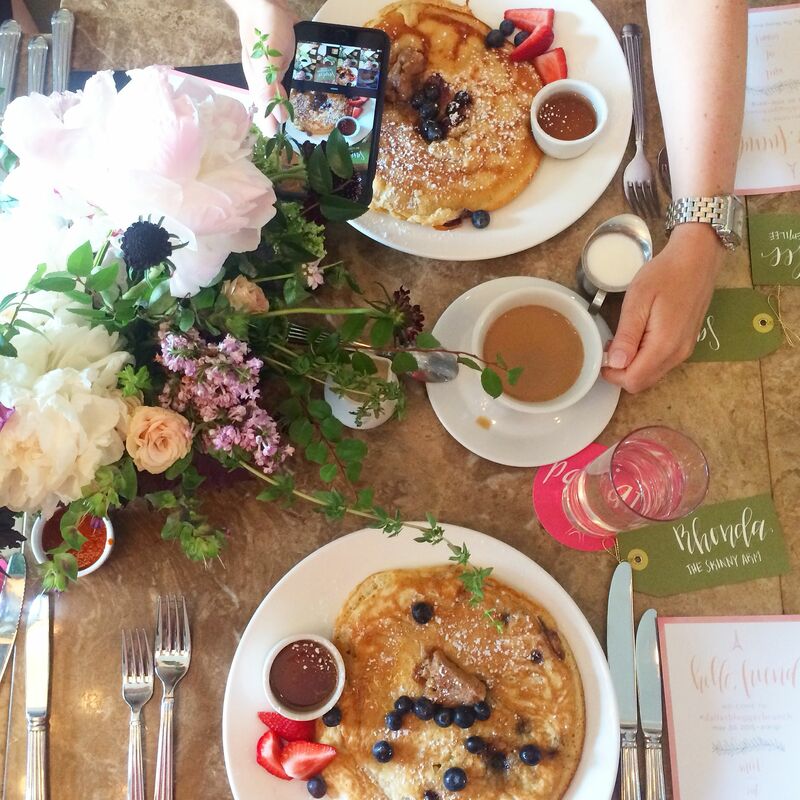 In January, when I started hosting #dallasbloggerbrunch, I was nervous to meet the girls and unsure how it would turn out, but all of the girls who have attended brunch have been so supportive and relatable that it has been easy to continue to host brunches; I know that the attendees will be a pleasure to be around. See my past brunches at: Sissy's Southern Kitchen, Smoke, and Company Cafe. I have also been able to use Dallas Blogger Brunch as an excuse to try new restaurants in Dallas that I don't normally eat at; on Saturday we met at Parigi on Oak Lawn and were not disappointed by their food or service. They don't have an extensive brunch menu, but the items they serve are unique and delicious. This month I asked two talented women to be a part of brunch by showing off their creative talents! Clara Doyle Designs made our place cards and menu cards; her modern calligraphy added a playful and special element to the brunch place settings. Oh Deery Floral provided a beautiful organic floral arrangement for the table- peonies are my favorite flower so I loved the giant peonies featured in the arrangement. Showcasing two vendors was a fun way to help them grow their business and introduce them to Dallas bloggers. There are some wonderful ladies and fun blogs represented in this photo; if you're looking for new friends to follow, check out fellow Dallas bloggers: Kari, Kailee, Elle, Emilee, Sandra, Megan, and Taylor. I am already looking forward to next month's brunch! Thank you Megan Weaver for taking the beautiful photos!